Ledger Blue is now available in Australia. 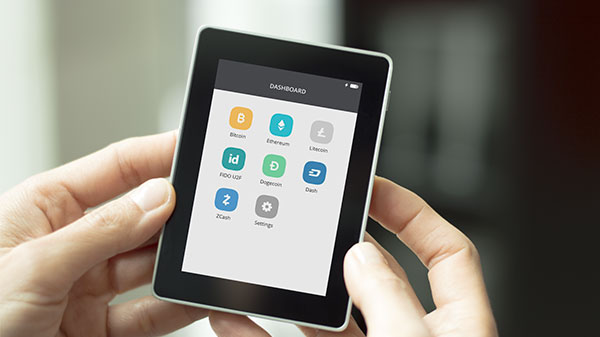 The Blue is a handheld digital coin hardware wallet originally introduced in 2016 providing a touch screen and Wireless Bluetooth, NFC & USB connectivity for computer and mobile phone compatibility. It can run different apps including bitcoin and ethereum, and can be supported other cryptocurrencies, for example, Bitcoin Cash, Dash, Dogecoin, Litecoin and Squash. 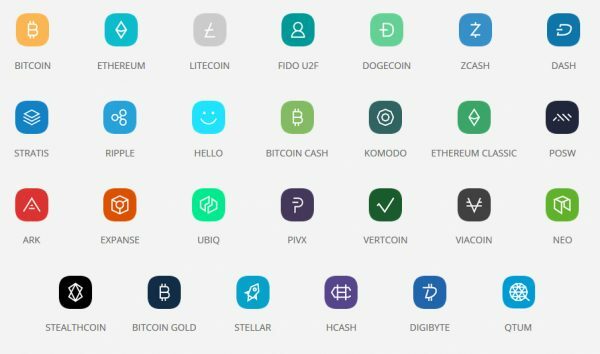 Ledger Blue cryptocurrency wallet is the most advanced digital money hardware security device available on the market. Furthermore, Ledger Blue has a dual-chip infrastructure with its ST31 Secure Element and STM32 microcontroller security. 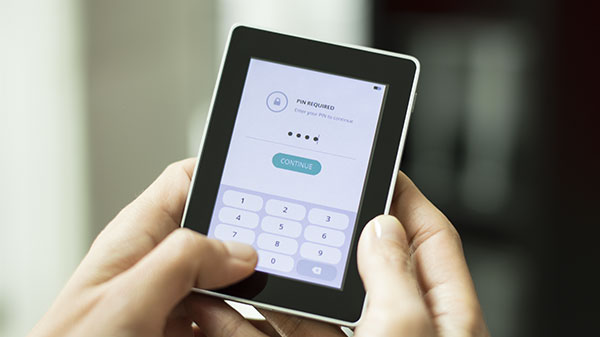 It comes with a variety of application implementations, making sure transaction integrity by the ‘What You See Is What You Sign’ paradigm, and features enterprise-level crypto-capabilities into a lightweight handheld device. 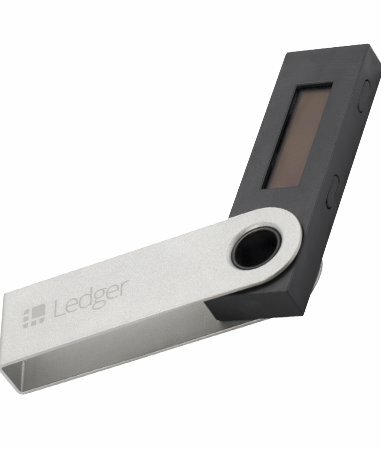 The Ledger Blue is a top-of-the-line security device designed to manage your cryptocurrency transactions, digital identities as well as smart contracts. It is designed around a Secure Element and built on the professional Ledger’s Operating System. It is made in France and the Ledger Blue is the new generation in the evolution of cold storage wallets. 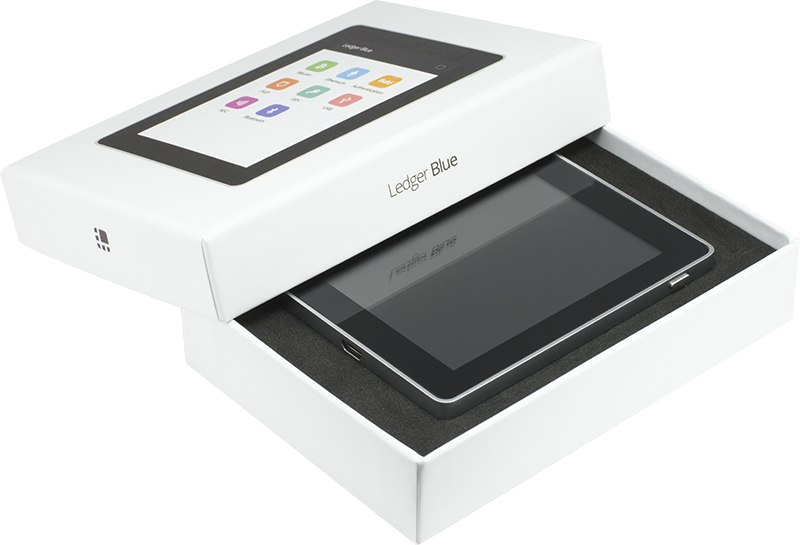 Battery-operated, USB and Bluetooth enabled, the Ledger Blue can work with any computer system and smart-phone. 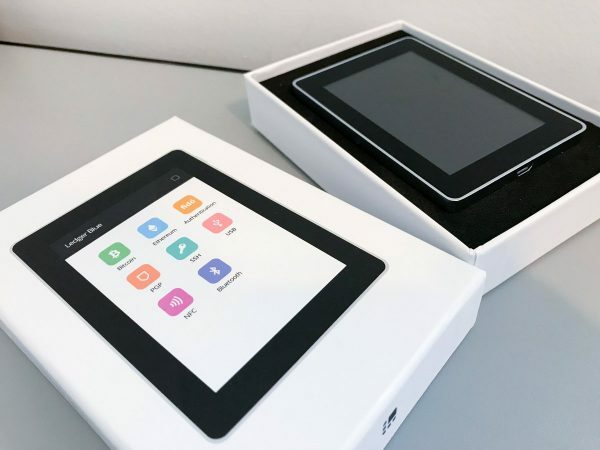 Ledger Blue is constructed upon an state-of-the-art operating-system which allows running multiple applications, easily accessible via a user-friendly dashboard. Firmware upgrades are always free. 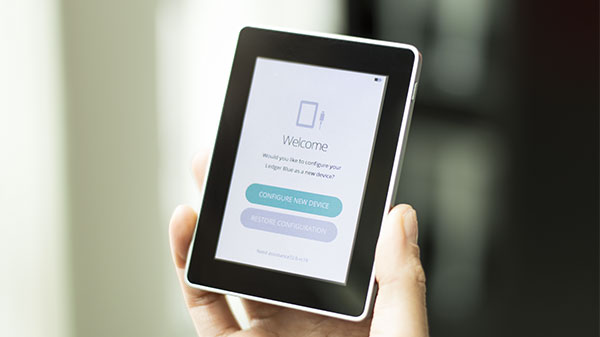 Ledger Blue utilizes ‘What You See is What You Sign’ to minimize threats. 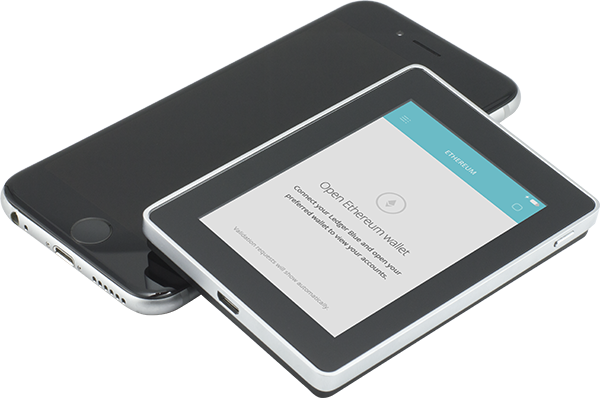 The Ledger Blue embeds a colour display and a big capacitive touchscreen with anti-scratch glass, framed with a strong cover. Your sensitive data is never revealed: your data are strongly protected and isolated inside a Secure Element, locked by a PIN code that you have set. The configuration of your Blue is backed up on a recovery sheet. 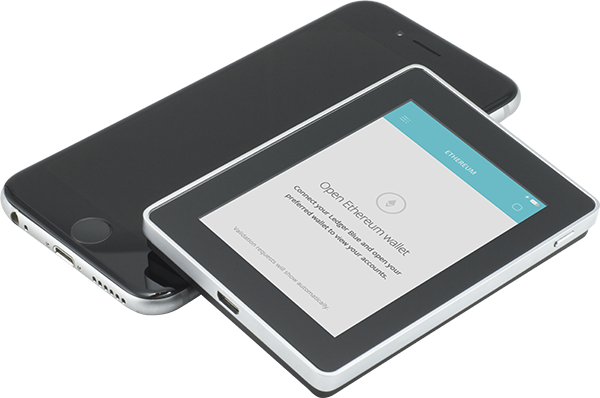 Easy restoration on any Ledger device or compatible wallets. Our genuine Ledger products are directly sourced from Ledger warehouse in France.